With Organizing Democracy, Paul Poast and Johannes Urpelainen argue that leaders of transitional democracies often have to draw on the support of international organizations to provide the public goods and expertise needed to consolidate democratic rule. Looking at the Baltic states’ accession to NATO, Poast and Urpelainen provide a compelling and statistically rigorous account of the sorts of support transitional democracies draw from international institutions. They also show that, in many cases, the leaders of new democracies must actually create new international organizations to better serve their needs, since they may not qualify for help from existing ones. 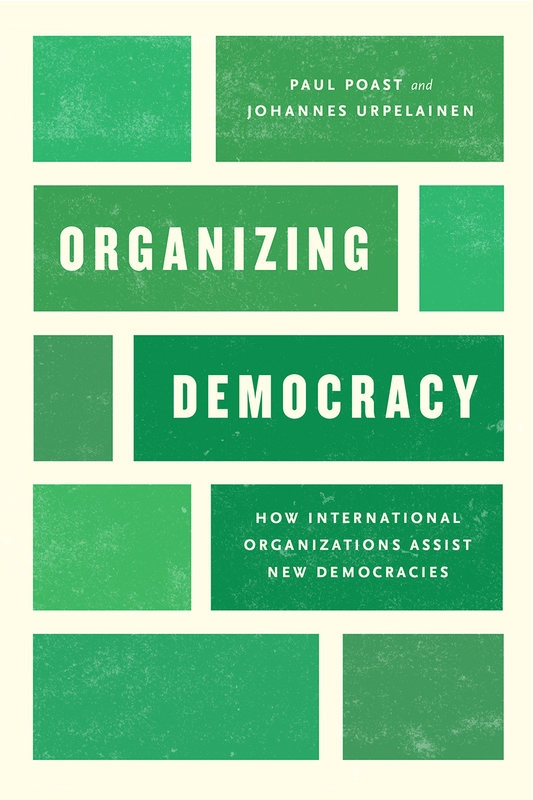 "Organizing Democracy provides new insights into the relationship between international organizations and democratization, arguing both that IOs support democratization and that IOs can be created because of the demands of transitional states. Transitional states are often willing but unable to increase public goods provision, and therefore benefit from the support of IOs, even when they must create them. Their novel argument deepens our understanding of the IO-democracy relationship."